It has been far too long since I have updated this blog. I have been racing again so should get at least a bit of race reports up here. Life has been full this year so far. Sonja and I welcomed our little girl, Kyla, into the world in January so that has been pretty exciting. I also purchased a motorcycle because I heard somewhere it is the normal thing to do when you have a kid. Despite all of this, I am still finding time to train and race although not quite a much of either as before. My glute injury that sidelined me for a couple of moths has almost entirely cleared up although I still feel twinges now and again. I did have a foot issue a few weeks ago that came out of nowhere, but that too has fixed itself. My running volume is only hovering around 40-50k per week right now although much of this is done at intensity. 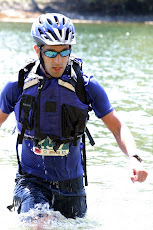 I did manage to complete four races in April and here are brief write-ups on each. The Mile distance is not one that I compete at often. In fact, this is only the second one I have ever done. In support of a Prairie Inn Harriers event and to try something a bit novel, I decided to give it a shot. 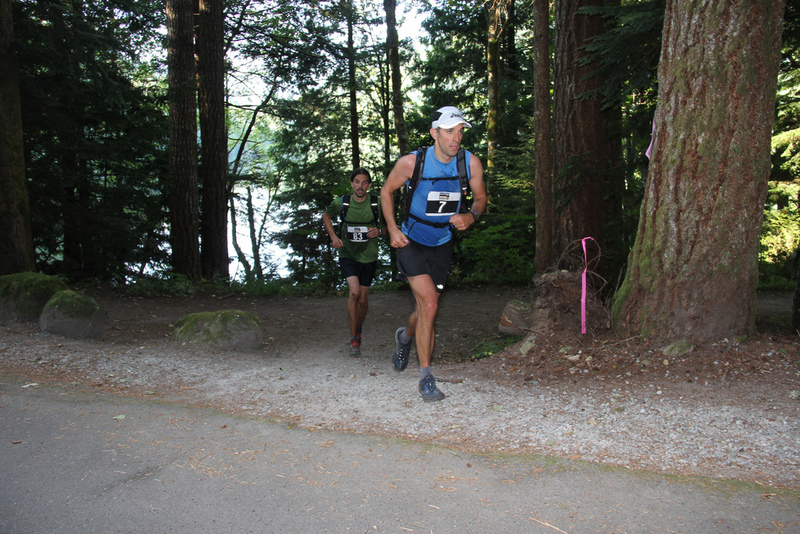 The course took place on the Galloping Goose Trail near Thetis Lake Regional Park. It took the form of an out and back course which isn`t ideal with such a short race but didn`t turn out to be as big of a factor as I originally thought. Since the trail is relatively narrow and was to have two way traffic, there was not a mass start. Each runner started a few seconds apart based on their estimated finish time. This meant that there wouldn`t be a lot of passing going on. For the most part, you would be racing against the clock which is not something that I have done much in a race environment. In my age category, I was the third seed runner behind Byron Trajan and a runner I didn`t know, Cobus De Klerk. Normally, I have been a bit faster than Bryon in longer races, but Byron is a very good sprinter and I was not in top form so this seeding seemed appropriate. Once we started, the race really flew by. Before I knew it, 400m were gone, then 600m. I could see that I was gaining on Cobus and by the time we hit half way, I had gained 3 seconds on him. With about 300m to go, I managed to pass him. I sprinted the last 100m coming in at a 4:51.03. Slower than my best 4:38.5 that I ran on the track in 2011, but considering that this course is slower due to some elevation plus the turn around, I was satisfied with my time given my fitness level. Byron ran about 6 seconds faster. This the the second year Mountain Equipment Co-op has put on a run series in Victoria (they have them all of the country as well). They are meant to be inexpensive low key events. At just $15 for entry they are certainly inexpensive. I really like to support these more minimalist races as I feel that too many running events are too elaborate and profit driven with shirts, other swag, piles of food, aid stations etc. This particular race was similar to the one I did last year around this time. The main difference was that it was changed from a 7k to a 10k race. The start and finish was the same location at Lochside Elementary and the first 6k was close to the same; an out and back on the Lochside Trail. This year though, just before the 6k mark the course veered into the residential area. Once off the nearly flat trail, the course was much slower with a lot of rolling hills, corners, and small connecting trails. My pace dropped considerably. Eventual second place finisher held on with me for the first 1.5 km before fading back a bit. I averaged a 3:27 pace for the first six km on the relatively quick trail. Once on the slower sections, I slowed down by about 20s/km. I didn't feel great during the race, but not terrible either. I concentrated on just staying steady and getting the job done. I finished in 35:46 - nothing spectacular for sure, but on a flatter paved course, I was confident that I could do a least a minute faster. The last race of the Island Race series, Sooke River is an out and back race on a rolling course. It is not particularly fast but not brutal either. I had no illusions that I would run a spectacular time here, but instead wanted to run smart and finish feeling strong. I'd be happy with anything approaching 34 min. I started out with the lead group consisting of Nick Walker, Jonathan Gendren, Logan Roots, and Derek Vinge. However, after a kilometer or two they started to pull away as I settled into my own pace. 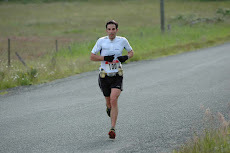 Things were feeling fine, but I knew that even a few seconds per km faster could push me too far. Looking ahead the front group had started to splinter with Derek dropping off the back. I noticed that I was gaining on him and I was able to push past him just before the turn around. It also looked as if Logan was having a bit of trouble and had fallen off the front. Logan has been racing quite well this year, so being near him was better than I expected. As we tackled the hills on the way back to the finish, I thought I might even be able to bridge the gap to Logan as I did make up some ground on the climbs. However, I just couldn't do enough and he held on to 3rd place. I had a decent sprint to the finish crossing in 34:18, well over a minute slower than I ran on this same course in 2011, but within my expectations of where I am fitness-wise. Nick opened a huge gap on Jonathon to win in 32:45. To my surprise, I realized that this was my 11th consecutive time doing the TC as it was my first ever race (outside of track in high school) back in 2003. I knew next to nothing about training and racing at that time. I did run for a couple of months mostly on the treadmill and managed to run a sub 45min time which wasn't too bad considering I wasn't really a runner at that time (the next year I didn't train at all and faded to an painful 48min finish and was sore for a week). Fortunately with some actual training, things have improved a bit for me since then. Falling just a week after Sooke River, I hoped to improve on that time a bit on the easier course and more people to pace off of. I was gunning for a sub 34 time. For the first few kilometres things progressed more or less as expected although I was moving a bit faster than a 34 min pace (3:24) at around 3:20. 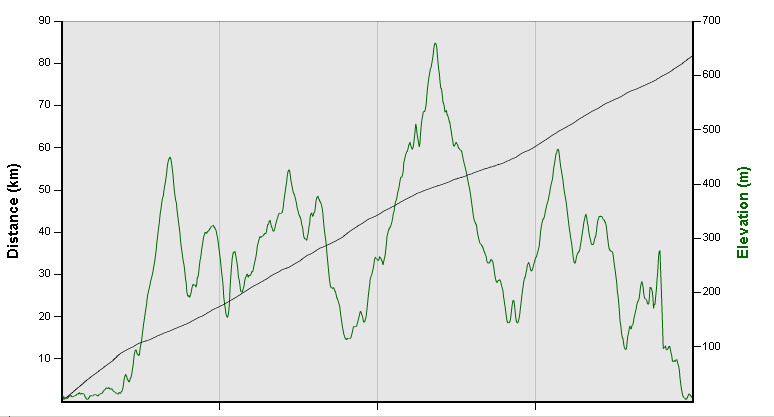 The biggest hill climb comes just before the 5k mark and this year this is also the time where some headwind was felt. Nothing too fierce, but strong enough to be a factor. On this hill up to mile zero, I was able to make up quite bit of ground on a pack of runners ahead of me and pass about 5 of them. 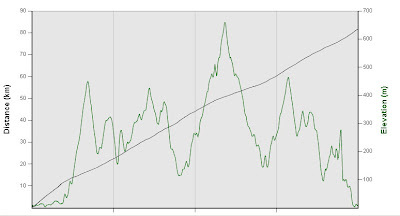 As I neared the crest of the hill just passed 6km, things were definitely feeling tough for me. I had to ease back a bit and as sometimes happened to me, some of those I passed on the climb fought their way back ahead of me on the gradual downhill. I ground out the final few kilometers feeling just in control which is about as good as you can expect at this point in the race. With half a km to go, I picked up the pace, managing to pick up a place or two in the process and just edging out Adam O'Meara, but not managing to catch Mark Cryderman who had been in the pack I had ducked in and out of. My final km was completed in 3:09 so it was a pretty strong finish for me. My finishing time was 33:48, slightly ahead of my expectations and especially surprising considering the wind factor. Overall, I was happy with how it came together. I decided to make the 3.5 hour one way trek up to Mount Washington so I could could get in this final Gutbuster race. I have not done all the races in quite a few years so this was a nice oppertunity. Luckily, I was able to catch a ride up with Larry Nylan and Valarie Bell which made the trip much more enjoyable. Once we arrived I saw a few familiar faces with Shawn Nelson, Brad Crowe, Andrew Pape-Salmon, and Matt Ceill in attendance. It is always great to see everyone both before and after the race so we can talk about more running.... 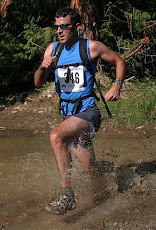 I've done the Mount Washinton Gutbuster once before several years ago when it was an ascent only race. I recall it being about 4 min of running followed by about 15 min of maxed out hiking with a tiny bit of running near the summit. It was high intensity for sure! This time, I expected similar on the way up, but the course now returns to the start line via some single track trails so it would be a bit different. Who arrives at the top first may not be the winner depending on their downhill technical prowess. I knew my high intensity climbing skills were probably not quite as honed as I have had them sometimes in the past, but I still thought I could put out a decent effort on the climb. In the first few minutes of the race, I gained a small lead on the field with Matt settling in behind. I tried to expand my lead, but was quite near my limit and could do more. I wasn't gaining more, but at least I wasn't giving up ground either. After 17:54 of this pain (and under 2k actually covered), I reached the top nearly 500m above. I quickly got my legs back and headed back down. At first I felt I had a healthy lead, but after a few minutes, I heard someone behind me. Whoever it was, was gaining for sure. I responded, picking things up a bit, but it was all I could do to stay ahead. It turned out it was Michael Ravensbergen, a young cross country skier with amazing downhill skills. I was able to just keep ahead for most of the decent. Then, near the bottom, the trail turned on a service road for a bit. The direction we needed to go wasn't clearly marked, I had failed to hear the instructions that were apparently announced at the start (kids let this be a lesson for you to pay attention!). I went the wrong way and Michael followed for a bit. Soon though Matt came down and told us we were going the wrong way. Now, all three of us were neck and neck and it with only a few hundred metres to go. It was going to come down to a sprint. Michael didn't had quite the leg speed that Matt and I could muster so fell back, but Matt and I were close right to the wire. I managed to get a single stride on him and that alone got me the win by less than a second. Indeed, our finished times were an identical 29:13. Micheal come in 24s later with Shawn taking 4th, Andrew 5th, and Brad 6th. Top woman was Shauna Connaughton. Larry had solid race with a 31st placing. Not my best ever race, but just good enough to get the job done that day. Thanks to Nick Walker and Mark Nelson for another great year of Gutbuster races and to all the volunteers that help make it happen. It may seem as though I have dropped the ball on my blog, but I still have intentions to add my races over the last couple of months. Sadly, I have probably forgotten a lot of details by now, but I'll do my best. Once I determined that I wanted to taste a bit of the ultra scene this year, I decided to give Knee Knacker a try. I've heard from others that is a great race with some amazing technical terrain and tough climbs. It seemed to be something that would fit well with my strengths. It is also very popular and has a cap of 200 racers so getting in is only by lottery. Based on the numbers, I had better than 50% odds, but it was by no means a guarantee. Obviously, since I am writing this, I was luckily enough to get in. I did a few long runs, but should have done more to prep for this race, but while I knew I could have probably been more prepared, I figured that should still be able to pull off something decent. I stayed in a friends apartment the night before. Sadly, I tossed and turned for a while before sleeping despite knowing that I had to get up before 4am to drive to the finish line to board a shuttle to the start. The night before, I had prepared my hydra pack with everything I planned to use during the night, I just needed to grab it and head out the door once I got up. The alarm, went off, I ate a bit, grabbed my bag of extra gear and headed out the door. I had just walked out the front door of the complex when I realized that my hydra pack was still sitting where I had left it. Normally, this would not be an issue, but I didn't have a key and my friend was soundly asleep in his 2nd floor apartment with no active buzzer and with a phone on vibrate. I had a sinking feeling - that pack was pretty important, loaded as is was with water, Gatorade, electrolyte tabs, gels, blocks, and bars - could I even do the race without it? I tried calling to no avail and even went so far as trying to buzz some other units to see if someone would let me in. Needless to say, one woman wasn't too impressed to be woken at 4:20am and promptly hung up on me. I contemplated not doing the race and all then sat and thought for a few minutes. I could carry an extra bottle I had or perhaps even borrow and proper hand bottle from someone. I also had extra bars and gels and would probably get me though especially since there was going to be more at aid stations. I could survive and decided to go for it. Unfortunately, by now it was too late to make it to the shuttle in Deep Cove so I had to head to the start line directly near Horseshoe Bay. It didn't help I didn't know exactly where it started and had failed to bring the directions so hoped to be able to find it somewhere along the highway. Luckily, I was able to do so and make it there with just enough time to check in and hit the toilet before the race started. After that gong show of getting to the start line, I hoped the race went a little better. The course starts with a couple km of flat and gentle climbing on single track and I eased into things knowing this was a long race. After 10 min or so I was in in 4th place had slotted in just behind Gary Robbins who I felt would run smart and pace himself well. Gradually the trail steepens and the main climb to the summit of Black Mountain begins. The total ascent is 1000m so it is a tough climb. Soon after things got quite steep I was surprised to noticed that Gary seemed to be struggling. After a bit, he told me to move ahead as he was not feeling well do to a lingering virus of some sort. He would later drop. I managed to be a bit of effort in and catch up to the 2nd place guy, Phil Villeneuve, a very seasoned runner whom I had heard of before, but never met. I was feeling reasonable, if not amazing on the climb and Phil and I continued together to the summit. As we started a small decent to Cypress Bowl, Phil opened it up and I realize that I no longer felt that great. Since I was only about 12k in, this was bad news indeed. I decided I had to throttle it back a bit if I wanted to survive so I didn't attempt to go with him. I would have to race my own race and hope I recovered someone. Fortunately, after the first major aid station and another few kilometers I did start to feel better. I was still concerned that Gary (I didn't know he had dropped until after the race) would come whipping by me but no one did. There was a modest climb out of the bowl which wasn't too bad, followed by a long decent that led to the halfway major aid station. I had left a drop bag here in case I needed it, but didn't end up requiring anything from it. I grabbed a bit of fluids and food and moved on. There were a lot of enthusiastic volunteers and spectators which was a nice little boost. Ellie Greenwood (a world class ultra runner) mentioned to me that Phil was only a couple of minutes ahead and wasn't looking that great. I certainly had not expected to see him again, but anything can happen in this length of race and sure enough I soon spotted him on the road climb up to the base of Grouse Mountain. This section was definitely a grind, but I was feeling fairly decent and was able to gain quickly on Phil who was obviously suffering somewhat. I caught him just before heading back onto trail where we had to grind up another significant climb. It hurt and I ended up hiking much of it with Phil just behind. We finally make it to a to a plateau where I was able to speed things back up a bit. The trail was technical which I generally like, but this far into the race, it does start to grind away at you. Overall though, the legs were still working pretty well. After a few minutes I realized that Phil was no longer right behind. I took a look back and he was gone - I later found out he just hit the wall, likely a result of fatigue from another recent ultra. Not a fun way to finish a race as his last 20k involved a lot of hiking. I powered up another small climb which fortunately wasn't as bad as the last one and then had a long section of most flat and downhill to contend with. At one of the aid stations in this section, Wayne Crowe (a seasoned veteran runner who son was also racing) told me that the leader had left only about 5 min ago and had been cramping badly at the time. This information gave me a bit of new life. Did I really have the chance to win the whole race? That would be really amazing and unexpected. At the time it seemed possible as I was still feeling pretty decent. I picked a the pace a bit with the hopes of reeling him in. Things continued to feel decent for another 5k or so until the final climb up the Seymour Grind started. It wasn't steep, but my legs decided to call it a day and refused to cooperate anymore. I was forced to hike even the slightest slopes and the climb seemed to last an eternity. I knew there was little chance I was gaining time on the leader at this pace and thought it was quite possible someone else would catch me. After what seemed like an hour (but which was certainly much less) I topped out. It was a huge relief to hit some downhill, but my muscles were now so toasted that I could not open it up very much. The course briefly pops onto a road before heading to the final stretch of 4km of downhill single track leading to Deep Cove. Having done this section a few years back as part of the Iron Knee race, I knew what to expect. This is a very technical section with roots, bridges, and a few little ups. It is slow even when fresh and a bit of torture when fatigued. It feels much longer than it really is. I was thankful to finally hear the finish line and knew that I was just about finished. I cruised in for a time of 5:18:04. Not a spectacular time by any means, but considering my couple of low points in the race wasn't too bad. My 2nd place was better than expected, but I was lucky to not get caught by the 3rd place guy (Colin Miller) would flew in just 2 min behind me. 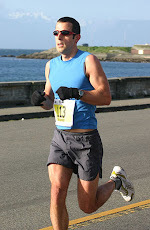 The winner was Nathan Barrett who recovered well from his cramping finishing over 20 min ahead of me in under 5 hours. An impressive performance for Nathen who told me it was his first ultra. Phil managed to hold on to a top 10 finish coming in 8th and the first woman, Lisa Polizzi, finished 11th overall in 5:53:20. Overall, I was satisfied with my performance, but know I could have performed better with more training. Results.